The Robert C. Maynard Institute for Journalism Education, a nonprofit dedicated to making newsrooms look like America, announced Tuesday the recipients of its inaugural Maynard 200 Fellowship for training journalists, producers, management, and journalism entrepreneurs of color. 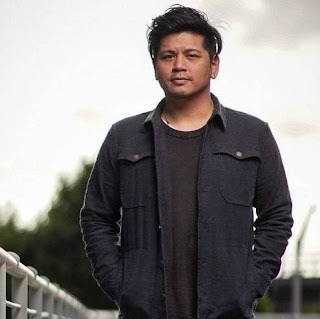 Troy Espera, executive producer of ABS-CBN The Filipino Channel’s (TFC) BA, a 30-minute nightly news program produced and aired on TFC in North America, was selected to be among the fellows to receive two weeks of training as part of the pilot Maynard 200 program. Maynard 200 aims to expand the diversity pipeline in media by training 200 diverse storytellers in the next five years. Maynard 200 aims to expand the diversity pipeline in media by training 200 diverse storytellers in the next five years. The program is supported by Google News Lab, the News Integrity Initiative and the Craig Newmark Philanthropies, and is in partnership with USC Annenberg and the City University of New York [CUNY]. During his eight years of work at ABS-CBN International serving North America (now also serving Latin America), Espera has won two Emmy awards, the National Journalism Award for Broadcast from the Asian American Journalists Association (AAJA), several Telly awards and a Vision Award nomination from the National Association for Multi-ethnicity in Communication (NAMIC). He earned a B.A. in Journalism at San Francisco State University and was an international student at Complutense University of Madrid where he studied Spanish philology. He speaks fluent Spanish and is an avid reader of Filipino American and Spanish literature. Maynard 200 fellows will receive training in one of three tracks: Media Entrepreneurship, Newsroom/Media Management, and Storytelling. Fellows hail from a wide range of publications, including national publications such as The New York Times, SB Nation, ThinkProgress, CNN Digital, and Newsday; local outlets including The Atlanta Journal-Constitution, The Victoria (Texas) Advocate, Kentucky New Era Media Group, and East Side Freelancer; and ethnicity-specific outlets including The Black Urbanist, the Asian Journal Media Group, and ABS-CBN International The Filipino Channel and Sing Tao Daily—as well as freelance reporters. Regions represented include the Midwest, South, Pacific Northwest, West and East Coasts. Areas of focus include immigration, sports, politics, social justice, culture, and much more.